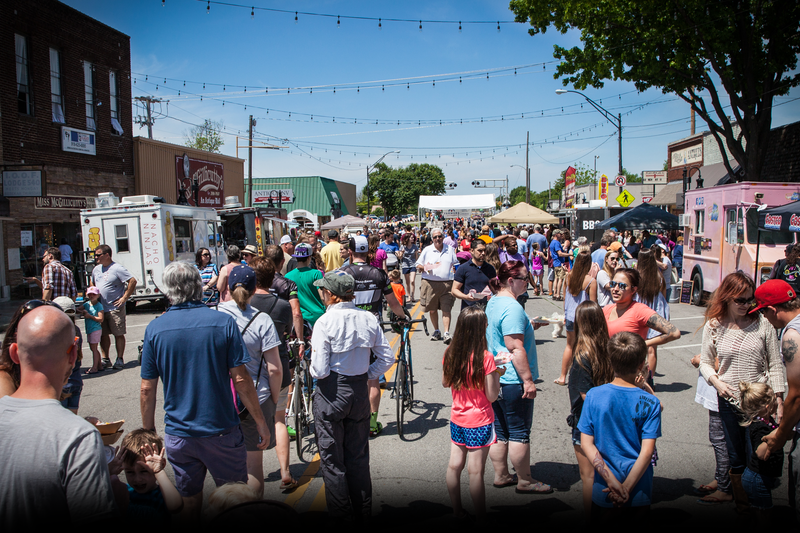 The Jenks America Food Truck Festival features a variety of popular food trucks and other vendors across the region. Local musicians perform as patrons dine and shop on Main Street Jenks. The festival will take place on Saturday, May 4, 2019. Festival hours will be 11 a.m. to 6 p.m.
WE ARE NO LONGER ACCEPTING FOOD TRUCK APPLICATIONS. Download the non-food vendor application here. Please note Chamber members may purchase booth space for $50 and non-members may do so for $75. Contact the Chamber at 918-299-5005 with any questions.